Sometime’s it seems there are more bad guys in the garden than good. When we emptied a large strawberry container this week in a HSE garden that caters for adults with intellectual disabilities, we found four of the ten pests listed below in one container alone! 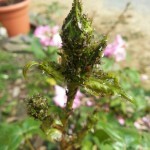 When we’re gardening without chemicals it can be a challenge but not impossible to either get rid of, or contain the pests and the first step is identifying the good guys from the bad, something covered a couple of weeks ago with the 12 Friends We Want to See in Our Gardens blog post. To identify the pests we need to see them first so the first rule of thumb when dealing with pests organically is vigilance. 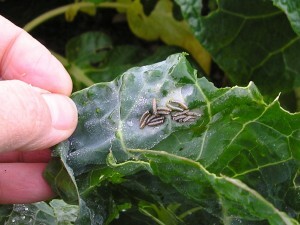 Check your vegetables regularly, daily if possible and if you spot anything unusual, try to find out what it is and deal with it immediately – it’s very unlikely it will go away on its own. One of my favourite books to help identify pests and diseases is the RHS Pest & Disease book and I’d recommend it for all gardeners shelves. After vigilance there are several things we can do to prevent a build up of pests, from good soil management, hygiene, crop rotation, companion planting as well as learning pest life-cycles (the weevil below is a case in point), using fresh compost and encouraging beneficial wildlife – all topics covered in my workshops. To help you begin the pest ID, here are a dozen I’ve come across, though there are many more. Not the ones we wear, but little grey-brown grubs. Leatherjackets are the larvae of crane fly and are root eaters. They’re fleshy with no legs and can grow as big as 50mm. For more information on how to identify and get rid of them, take a look here. 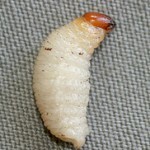 Cutworms are moth larvae that generally live under the soil and are again, root feeders. They’re larger than the leatherjackets mentioned above and are a green, grey, brown colour about 2.5 cm long. Supernemos are available online if you’ve noticed a particular problem with these grubs or the leatherjackets. 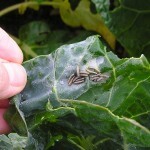 Cabbage white butterflies and moths start appearing around May and lay their eggs on the undersides of Brassica leaves (kale, cabbage, broccoli). The eggs hatch and the caterpillars feast on the leaves of seedlings you may have lovingly grown, leaving gaping holes and if left unchecked, no leaves whatsoever. There are a few ways of dealing with caterpillars organically. First of all cover the bed your Brassica are growing in with netting made with holes small enough the butterfly can’t squeeze through to lay her eggs. Make sure the net is fixed to a frame and not sitting directly on top of the plants or the butterfly will lay her eggs through it. If you do spot signs of caterpillars, pick them off the plants and destroy them or move them to a sacrificial plant such as nasturtiums where they can chomp away without damaging your precious leaves. I could spend every lesson in every workshop discussing slugs and snails as they’re the bane of gardeners lives! Instead I wrote a blog post that has 15 ways of dealing with them organically and a few more comments have been added to the list. 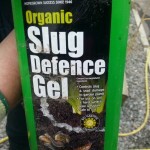 Take a look if slugs & snails are your nemesis. 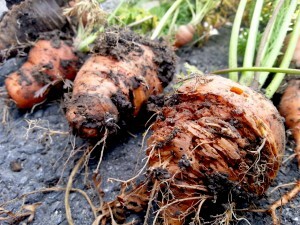 I think I’d heard about carrot root fly long before we began growing veg but only came across this pest recently. Boy does it do some damage. I won’t go into detail here as I dedicated a blog post to it after we discovered it in Callan community garden, but trust me, you really don’t want this pest in your garden. 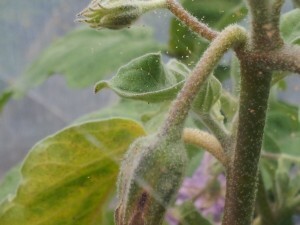 Greenfly, blackly – most of us are familiar with aphids in one guise or another. They love our roses and they love our broad beans and they breed like mad. Here’s a post all about them with a few suggestions on how to keep on top of them. My polytunnel became so infested with red spidermite last year I had to take everything out and wash the tunnel and everything it contained from top to bottom because the spidermite had infected it all. It was a demoralising experience that I don’t want a repeat of, ever. How did it happen? I took my eye off and didn’t spot them early enough. It was a hot summer and I didn’t keep the polytunnel damp enough – red spidermite thrive in hot, dry conditions. There’s no excuse as I’ve seen infestations a couple of times. 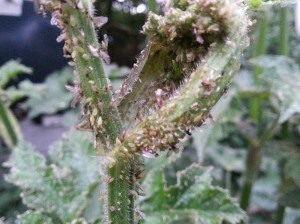 Here’s a post about a red spidermite attack we spotted early enough in Goresbridge Community Garden a couple of years ago you might like to look at for tips and suggestions. Whether the weevils are after your legumes as in pea and bean weevil or after your strawberries, as in strawberry weevil, they’re a curse as the distinctive orange headed larvae eat the roots and the adults eat the leaves. The Irish produced Supernemos are said to be effective against strawberry weevils and may well be the answer. Beet miner’s are maggots that have hatched from fly eggs laid between the layers of leaves. There’s no cure, organic or otherwise, other than vigilance. 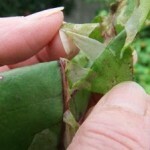 Once you spot them, remove the infected leaves and the plants will recover. This post explains them in more detail. The first time I came across one of these grubs (cockchafer pictured on the left) it reminded me of the enormous widgedeygrubs our children are fascinated with on ‘I’m A Celebrity’. Almost the size of your thumb they eat roots and once they pupate the cockchafers will become Mays Bugs or Billy witches. We tried watering Supernemos onto the raised beds in Leighlin Parish Community Garden the first year we came across them and didn’t see them again as a result. 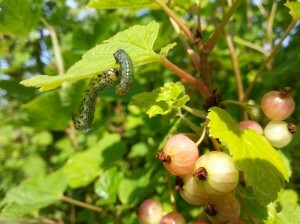 Lots of people were tweeting about gooseberry sawfly larvae damage last year – a caterpillar than can literary strip bushes bare in just a couple of days. They’re also partial to currant bushes which I learnt when they took a liking to our red currant bush. Here’s a post on how to deal with them. I heard a tip recently suggesting laying rhubarb leaves at the base of bushes to deter this fly – something I’ll be trying soon. There are many more pests and just when we think we’ve seen them all, along comes a new one. 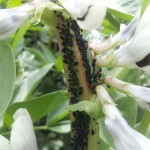 Lots of people have mentioned the weevils this year and ants seem to be causing a problem too. Ants won’t damage your garden but they do harvest aphids, a sprinkling of cinnamon or semolina powder seems to sort them out however. I have a general rule of thumb in our garden – as long as the bugs aren’t trying to eat our vegetables, they can stay. Have you come across any pests that have had you hopping mad at the destruction they’ve caused? Good read again Dee. 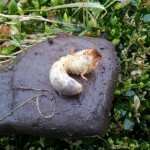 I knew about slugs but I had no idea there were so many other insect hazards in the garden. I’m not that adventurous but have lost several of my herbs to greenfly, I can’t imagine how devastating it must be to dig up your carrots to see them nibbled away. The pests can be very demoralising Amanda. 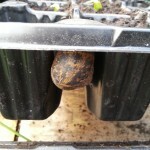 I was sowing some seeds with a group yesterday and chanting “one for the slug, one for the snail, one to thrive, one to fail” and they laughed nervously at the 1 in 4 chance of survival! 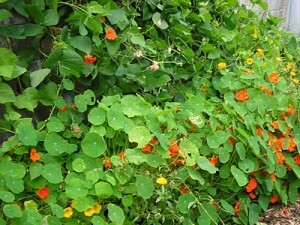 Accepting the pests exist and working with them by planting all the beneficial flowers is part of the learning curve. 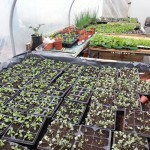 I’ve had problems with carrot fly in the past – and caterpillars on my cabbages too! 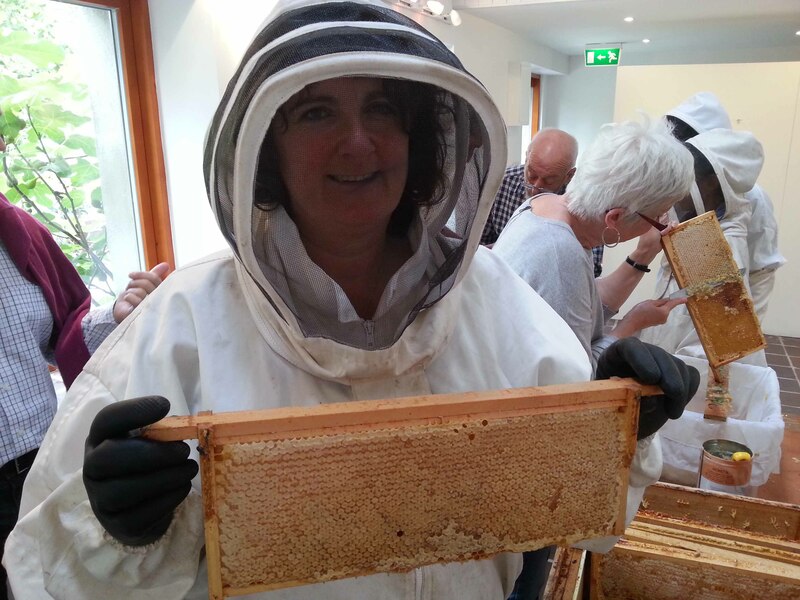 Useful list of links here for solutions here too Dee – thank you. I was at a beef talk earlier today and one of the presentations was on liver fluke.. None of these pests are attractive are they?? I deliberately didn’t choose a featured image insect Lorna as they don’t look very nice either! We’re trying something different with the carrots this year in Callan Community Garden and have mixed them up with lots of flower seeds in the hope it will confuse them. Will be letting everyone know how that goes. Hope the liver fluke passes you by. I’m in Ontario, Canada and Japanese beetles have been a huge problem over the past few years. They feast on many things. In my garden they devour the hibiscus flowers.